We did the heavy lifting so you can begin creating with confidence. Task Reports eliminates need for trial and error. 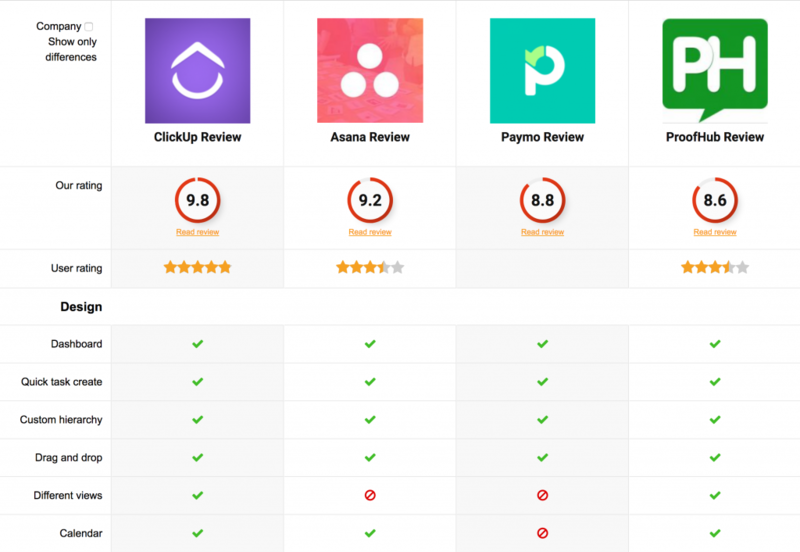 Check out our comparison charts, quickly see the full review of possible features and decide which project management software works best for you! We've created a single, well-organized collection of reviews to report everything you need regarding features, pricing, and specs of the best project management tools in the industry. 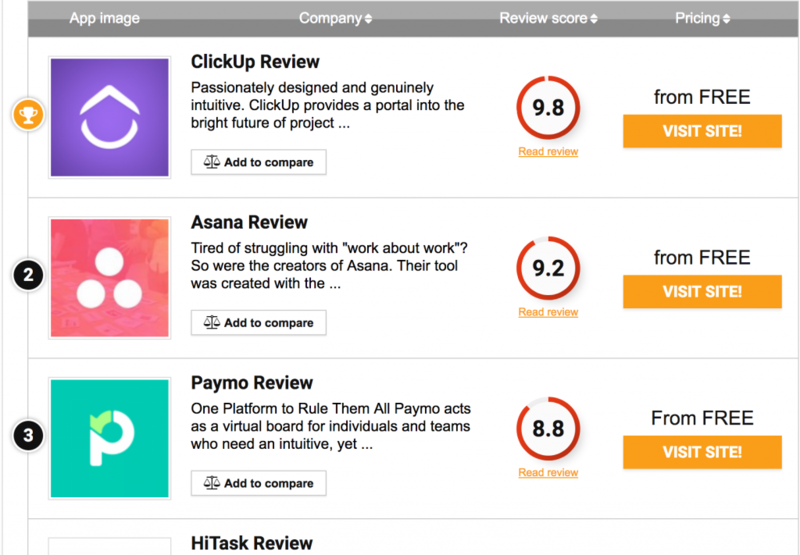 Compare the best apps in project management! Let's find the perfect tool to fit your customized needs, and get back to what's important! At Task Reports, we believe beautiful software design enables instant adoption. From our first log-in to our last, we looked at how much time was required to locate each new feature. Project management is a straight-forward concept in our minds, so why can’t the tool you use provide the same simplicity. The best project management solutions should provide a rich set of features to assist with keeping your tasks organized, while not confusing the user. We review project management for personal use, enterprise, and everything in between. Our task reports are biased to the intended scope of the application. The tables on this site saved so much time. Thank you TaskReports for all your help! Couldn't be happier with the platform I chose. Beautiful website. Love the comparison tables 🙂 Found a wonderful alternative to my previous project management platform!